After being mean about three new bands, we’re slightly down on Chilly as well, and we’ve got all his albums. Never mind: he’s Canadian, so he’ll just be polite about it. You’ve all heard Chilly’s music: he won a Grammy for his collaboration with Daft Punk and composed the inaugural Apple iPad campaign music, Never Stop. We often feel a little inadequate reviewing classical albums but it must have had some effect, because we can tell the difference between this and proper “classical” music. Chilly has dabbled in many forms of music but lately has gone in for the piano, producing two albums imaginatively named Solo Piano One and Solo Piano Two. 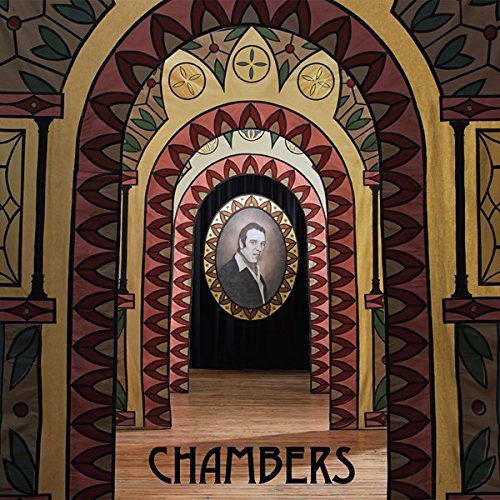 On this album Chambers, he checks out chamber music. How DO you think of the album titles, Chilly? His laudable aim is to get people to listen to classical music in the same way as they listen to pop, and to that end he gives the songs excruciatingly bad puns as titles and plays the music with a definite beat — some tracks on here would work well with an electronic dance beat. We say we’ve learned from listening to classical: what we mean is, we can tell this isn’t played as well as some of the classical pianists we’ve reviewed, so how much it will appeal to classic heads is open to debate. And he’s perhaps a little optimistic thinking that pop music lovers will turn to classical music because he’s written some piano with a four four beat. Try Advantage Points, which sounds like the music from a showy BBC period drama set in the 30s (open top car driving down country lane, young couple in hats, laughter); Sweet Burden is sweet, with lots of violin. The punningly entitled songs (such as Green’s Leaves and Freudian Slippers) are a little more formulaic, as if he put all the effort into coming up with the names, though Cello Gonzales is charming and atmospheric; a bit Vaughan Williams.